My apologies to everyone for falling off the map without explanation over the past two months. I've been quite ill with kidney and prostrate problems and it will be some time before I'm back to full strength. I spent almost three weeks in hospital and have a variety of issues to deal with as well as regular outpatient hospital visits over the next few months. During this time I'll write an occasional column but I've fallen out of touch with racing and will continue to be this way through much of the summer leaving me short of informed commentary. From time to time when the spirit moves me I'll write an occasional column but I don't foresee returning on anything like a weekly basis. My illness has emphasized to me that my days of covering races are well and truly over. I wrote about these changing times in a January column, making the point that my days as a race and news reporter began to unravel more than fifteen years ago and have been history for more than five years. Again, as I've written before, during these changing times I began to focus more and more on writing books and I'm happy to say that's worked out well. For the past few years thanks to Joe Freeman and Racemaker Press in Boston I'm now fully occupied as an author and historian. I've published four books with Joe and Racemaker over the past four years and we have three more projects underway plus a handful more under discussion. Obviously, I didn't make it to Indianapolis this year but Joe drove out in his Jeep Cherokee filled with a selection of Racemaker books. As usual, Joe hosted a book signing at the IMS Museum on Friday evening of race weekend and was on the Racemaker stand at the following day's memorabilia show. 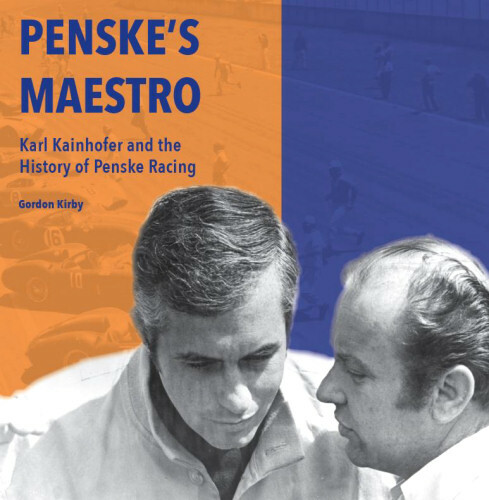 He was joined at both events by Jim McGee, Karl Kainhofer and Merle and Susan Bettenhausen who signed copies of their books and entertained readers with a few yarns. Sales went well, as they always do at Indianapolis, and Joe enjoyed many enthusiastic conversations with our customers. In the past year I've been working away on Wally Dallenbach's biography which is a particular pleasure. Wally is a first class man and during his twenty years as CART's chief steward he established himself without parallel as the best chief steward in the history of Indy car racing. "Wally Dallenbach was the unrivaled master of all chief stewards," says Chip Ganassi. "When you look at safety and who drove it, you look at people like Bill Simpson, Wally and the guys who did the Hans device. Wally is right there at the top of the ladder as a leader in safety. When he brought in the medical unit in the mid-eighties that was way ahead of its time. The sport needs more people like Wally. "The policies and the global respect he brought to improving safety in racing is still current today. What he brought in terms of the consciousness in the sport about medical issues and safety as a whole has become the standard for the sport today. He also brought the management of a race weekend and the way the events were run into the modern era. "Wally is a humble guy. Not many people today could point him out, but he's a giant in the industry. He had a larger impact on the sport than 99 percent of the people in motor racing." 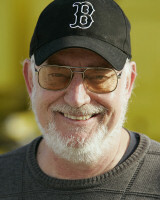 I have resumed work on Wally's biography and our goal at Racemaker is to publish the book in May of next year. Joe Freeman and I also spent a lot of time through last fall and winter completing my history of Carl Haas and Newman/Haas Racing. I've been working on this book for quite a few years and Joe and I completed our final edit last fall and winter as well as selecting more than 500 photos from Racemakers archive. I've received emails and phone calls from many of you asking about the state of the Newman/Haas book but I'm sorry to report that we've hit a curb because Carl's wife Berni has asked us to not publish the book. It was a bit shocking to hear the news, particularly after the years of work Joe and I have put into the project and also because PLN and Carl were great supporters of the book. Both of them very much wanted their entire stories in racing to be told and it will be a tragedy if we're not able to achieve that goal. Joe and I have not given up on our commitment to publish the book and we will continue to work with Ms. Haas to try to make it happen. In recent years Joe and I have also been working on an epic history of American racing titled 'The Rise and Fall of Big-Time Auto Racing in America'. This book is an ambitious project that I could only tackle with Joe's full support as a collaborator and editor. 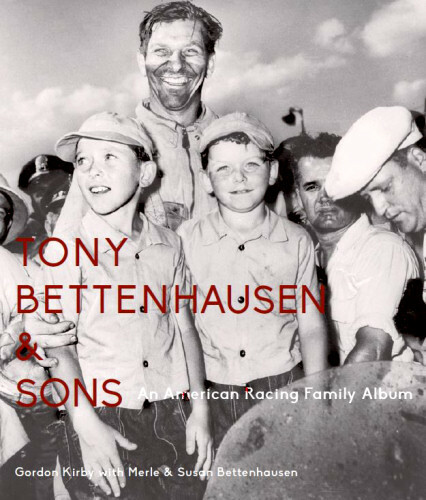 His thorough knowledge of the sport's early and formative years has been essential to writing this book which will cover the entire 120-year history of motor racing in America. The book will document the rise and fall of at least twenty major sanctioning bodies or formula from the AAA, USAC, CART and iRL to the Can-Am, Formula 5000, IMSA GTP, Formula Atlantic and Super Vee. It graphically demonstrates the cycle of failure that has defined American racing over the decades as NASCAR and the NHRA proved the only major sanctioning bodies able to build stability and brand identities. We are well along with this project but are in no particular rush to complete the book. I've asked a selection of great drivers and car and engine designers to add their own closing chapters with their ideas for making the sport better and more appealing so we hope to provide not only a thorough historical analysis put also put forward some positive ideas for an improved future. Racemaker expects to publish 'The Rise and Fall' sometime between 2020-2022. Another book Racemaker is currently working on is Bobby Marshman's biography written by the late Michael Argetsinger. The Argetsinger family asked Joe and Racemaker to publish the book and it should be off the press later this year or early next year. Michael has written a very warm, thorough book which benefits from extensive interviews with Marshman's wife Janet and family painting a full picture of a talented young driver who Colin Chapman called "the Jim Clark of America". Joe has found some superb photos of Marshman documenting his rise through ARDC midgets and URC sprint cars into USAC and his three short years racing Indy cars in the early sixties. Aboard Lindsey Hopkins' Lotus 29 Marshman was the man to beat at Indianapolis in 1964 as he took the lead from Jim Clark and pulled away on his own before making the mistake of getting too low while lapping a slower car. He was forced down onto the bumpy apron which tore the water plug out of the bottom of Marshman's engine, ending his race. Sadly, Marshman was unable to fulfill his immense potential because he died in December, 1964 after suffering grievous burns to much of his body in a tire-testing accident at Phoenix. Marshman's remarkable story is largely unknown so it will be a pleasure for Racemaker to publish Argetsinger's book. These days there are more forms of motor sport and a greater participant base than ever. The sport enjoys tremendous diversity and continues to attract many aspiring young drivers in all types of categories. It's a great shame therefore that in recent years the most well-known, professional forms of the sport have suffered steady declines in crowds, TV ratings and overall popularity. Over the past ten years I've written plenty of words in this space trying to analyze this phenomenon. NASCAR's downhill glide has been very sobering and despite many rule changes to try to stem the tide nobody seems to have any serious plan to tackle or fix the problem. Meanwhile, IndyCar is saddled with a weak schedule including ugly races like Texas and is trapped in a partnership with Dallara in the spec car mentality. I don't believe a new, more attractive Dallara is the solution. Until it can find a way to attract multiple car builders and rebuild its image as haven for innovation and new thinking IndyCar will continue to languish with tiny TV ratings, poor crowds at most races and very little overall media coverage. IMSA enjoys a good schedule and plenty of manufacturer support but has a very small footprint in American popular culture. Can it find a way to re-establish itself in the spirit of the mid-eighties heydays of Camel GT racing? We will explore all these things in great detail in 'The Rise & Fall' and watch with interest in the years ahead as we continue our work writing about the history of American racing. I want to thank all of you for being faithful readers over the years and hope you will continue to follow my occasional forays in this space and enjoy my and other books from Racemaker Press.